Montana Snowbowl is Missoula's mountain, with fantastic powder and big mountain skiing that has luckily managed to stay under the radar, which means great prices and short lines. Premier ski shop in downtown Missoula featuring Faction & Moment skis, Bern helmets, clothing & outerwear, plus GoPro gear & accessories. You can't beat Snowbowl's back bowls and glades. Experience killer powder and a 2,600 ft vertical. Enjoy a famous Bloody Maryand a pizza at the Last Run Inn. Montana Snowbowl offers cheap tickets and short lines just outside of Missoula. This is big mountain skiing tucked away in western Montana. Montana Snowbowl offers big mountain skiing with small mountain prices and crowds. Deep, powdery bowls and a 2,600 ft vertical make Montana Snowbowl simply awesome. The two high speed lifts help you access the 950 acres of mixed terrain. Extreme bowls and plenty of glades will put a smile on your face. The Lavelle Creek Area, recently added to the backside, is perfect for the little ones or big folks still trying to get a feel for the snow. This amazing mountain will leave your adrenaline running high after a great day cutting turns through the powder. Just 20 miles north of Missoula, Snowbowl couldn't be more accessible. From downtown Missoula, take I-90 west take the Reserve Street Exit (Exit 101), north on Grant Creek Road, then left onto Snowbowl Road. Once you are up the mountain, there is no need to leave. Spend the evening at the Gelandesprung Lodge. Offering standard rooms with shared bathrooms, deluxe rooms with private bathrooms, and for something a bit special, spend the evening in the private suite. 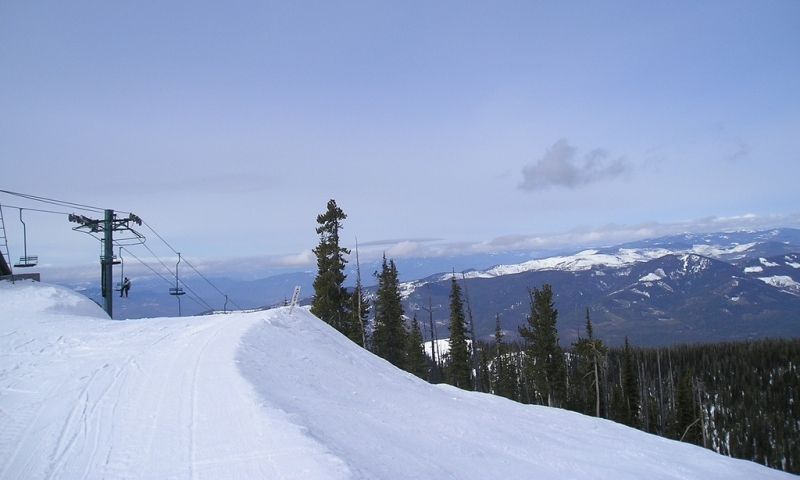 Or you can check out the ski and stay lodging packages available at various hotels in Missoula. Snowbowl has everything you are looking for. They offer some awesome ski programs. Get an early start on the ski season with a three day holiday instruction course. The first session is free, so you can decide if it works for you. Check out the woman’s only courses, kids instruction, or build your own group. Don't miss learn to ski for half price Tuesday's available all thru January. Hungry? Stop in the Last Run Inn Kitchen for a some excellent food, especially the pizzas. Let one of their famous bloody mary's warm you up after a long day on the mountain. Need to rent gear or get your skiis waxed, check out the rental shop. The knowledgeable staff will help you get fitted with the finest gear available. At the end of the season, check out the demo deals that are often available.